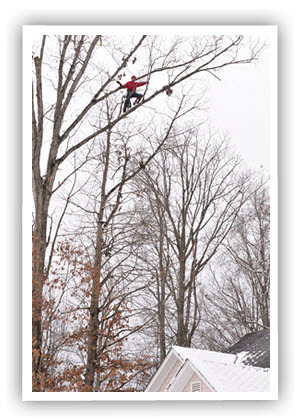 As one of the oldest and most reliable tree service companies in Richmond, VA, we are certified in the provision of a full array of solutions to meet your personal tree pruning & trimming needs. Our team of ISA-certified arborists work tirelessly to develop a cost-effective program for the restoration and maintenance of your trees and shrubs. Fill out the form below for a free quote on Tree Trimming & Pruning services in the Richmond, VA area. 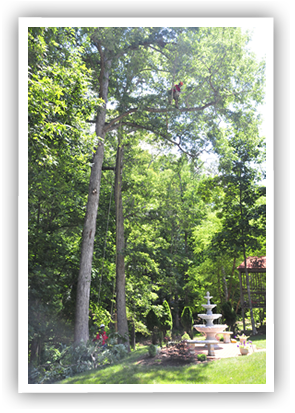 Our tree trimming service can be tailored to the specific needs of your landscape, as well as personal preferences. We aim to make your property beautiful and healthy with the least invasive approach possible. Starting with a complimentary assessment where we will listen to your concerns, our team diagnoses what areas need immediate attention and how we may best be of help to you. During the consultation, you will receive advice from our knowledgeable experts and learn more about the process of tree pruning needed for the upkeep of your outdoor environment. 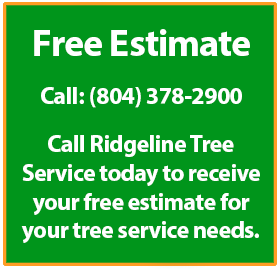 Ridgeline Tree Service provides professional Richmond tree pruning services that improve the health and appearance of trees on your property by eliminating as many potential safety risks as possible. 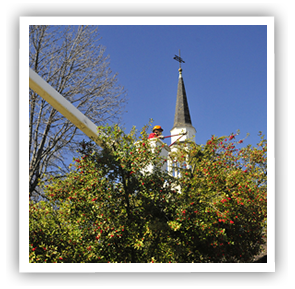 We also offer developmental pruning for your younger trees to ensure optimal growth. This technique is highly recommended in guaranteeing that trees build up wind resistance and develop a stronger structure – as demonstrated by a recent study by the University of Florida. Damaging storms occurring in Richmond, VA are amongst the leading causes for tree damage that might result in more substantial property damage. After evaluating the potential risks on your property and condition of your trees, Ridgeline Tree Service will work to reduce crown size, remove weak or dead branches, and structurally prune for optimal tree health. This helps invigorate the tree and strengthen its structure and is the ideal preventative method to reduce tree damage. Promoting a sound tree structure is vital to the upkeep of your trees, as this not only improves aesthetics, but also helps maintain the urban Eco-system. Poor tree condition can be costly and affect the health of other plants in your outdoor environment, sometimes inviting unwanted pests. Thus, considering tree pruning services even if only as a preventative measure is considered a huge positive. You will hear a range of prices from all sorts of sources for tree pruning & trimming. As with most things in life, it’s important to remember: you get what you pay for. For example, the pruning or trimming of a tree can “cost you very little” if you go through a fly-by-night company. But you put your home, property & family at risk when you work with a less-than-reputable shop. Without proper insurance and equipment, the risk of damage and injury is rarely a savings in the long run. Simply put, price largely depends on the overall size and complexity of the job. Naturally, the use of specific equipment can add to the cost of pruning. In some instances, crane services are required to safely remove portions of a tree. Get in touch with us today at the nearest office and receive an estimate and free consultation.